What does it take to add to your cloud security? As a growing business, you will in time be taking on more and more data. Especially in the wake of data breaches both in data centers and the cloud, it is important to make sure that if a provider loses your business data, you have both a plan to recover your data and strategy to minimize loss. It should go without saying, the cloud offers the value of data at any time or place, but it is still your responsibility to have copies of your data. The general rule of thumb is to always have two sets of backup in safe environments. 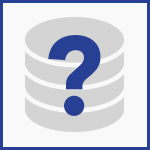 But where should you backup your cloud data? Secure Cloud Backup: Services like Carbonite, CrashPlan, and BackBlaze make for mature providers of secure storage. In addition to this, your provider may offer its own backups of information in an encrypted and secure location separate from your main data. For instance, if you are seeking a cloud accounting provider, Intacct offers essential security features making your data accessible within hours in the case of emergency. Sneakernet: An informal term, this includes things as simple as taking home a tape each night with backups of data, or hiring a courier to securely transport data to s safety deposit box. Network Attached Storage (NAS): If your business has multiple office locations, you can deploy two compatible network-attached storage (NAS) devices at each location, and set them to synchronize or back up to each other over the network. Disaster Hardened Storage: Disaster-proof enclosures provide the ultimate in local backup protection. Generally Fireproof, on-site, and encrypted to a tee, certain local backups even can send backups to the cloud. For more information on how to disasterproof your data, PC World offers an in-depth look into securing backups. Depending on the type of backup you choose, it is important to develop a weekly plan to backup critical business data. Whatever source of backup you choose, follow these tips to ensure your backup goes efficiently and securely. Again, rule of thumb should be to backup most important files: Databases, Financial Information, etc. At least once per day; but other sources recommend doing complete backups each week, with differential or incremental backups each day. Choose your backup strategy, stick to it, and check on the strategy to make sure that you are keeping up with the trends. Understanding this and ensuring that everything you need to know is covered in the Service-Level Agreement (SLA), you can set yourself up for success in the cloud. Tom Hobika, SVP of EarthLink, recommends this regarding the agreement you sign with a cloud provider. For more on understanding the availability, security, and procedures in cloud backups, we recommend the CIO article 9 Things You Need to Know before Storing Data in the Cloud. With respect to the recent breach leaving code hosting provider Codespaces.com out of business, it is becoming more and more important to manage data. Cloud backup and storage companies provide great selection in a secure environment, but it is important that you are prepared if something catastrophic happens. “Should you decide to leave the cloud or the cloud provider decides to leave you [goes out of business], have a business plan ready to go to move to a new cloud with minimal disruption,” says Brian D. Kelley, the CIO of Portage County, Ohio. If a supplier can’t provide you with a means to get copies of the data, then you need to have a contingency plan for when they are no longer able or willing to provide it. The most important component of any supplier relationship is a solid exit strategy. If you follow the first three steps, step 4 should be completely painless, as you have a backup you can trust and a recovery strategy backed by your service level agreement. Finally, we thank the Gartner blog for the main points of advice regarding data security. InCloud360 cares about your data security. A provider of leading software Intacct and SugarCRM, we offer solutions that continually care about their customers, their security, and even their employees. We welcome you to look at other blogs on the history of cloud computing and its future as a driving force in IT. Looking to learn more about how the cloud is right for you? Contact us and see how we can help implement software tailored to your business growth. We recommend these articles regarding cloud security.